♥ Today has been quite weird spontaneous kind hahaha I decided after scrolling through my instagram feed that I would go into town and do a bit of retail therapy as I was feeling a bit blah that was until I hit the shops, first destination was my local lush store. 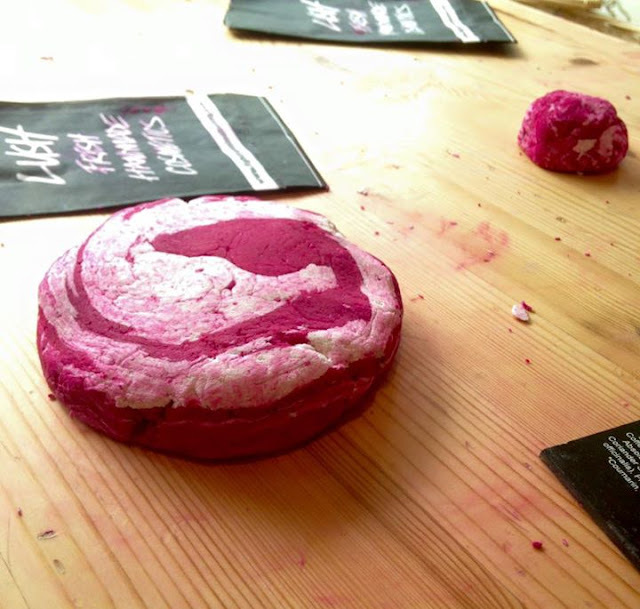 They had an event where you could make the comforter bubble bar in store I've been loving the shower gel of this so I decided why not it was really popular and something different, something that did cheer me up and made me smile. 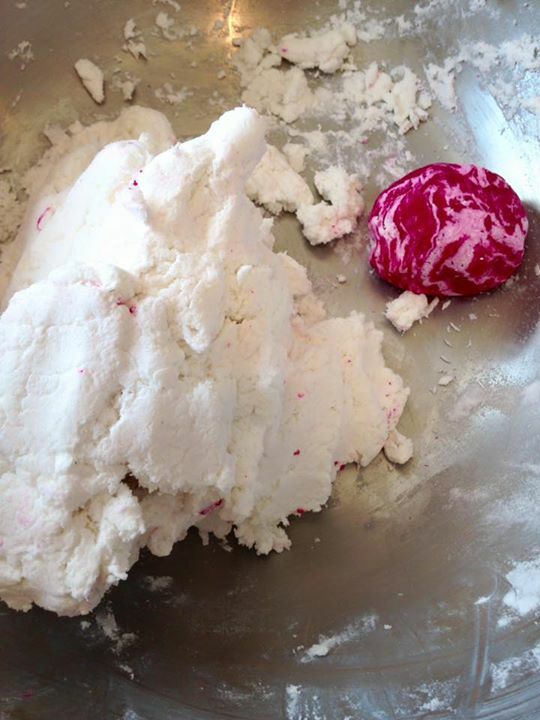 Even if I wasn't that good at it I completely loved it hahaha, I've always wanted to make a lush bubble bar. 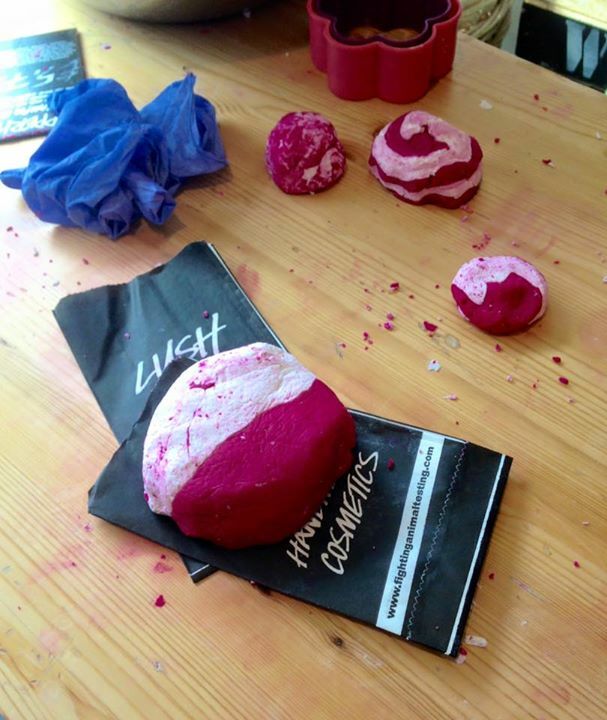 I'd also like to thank daisy (who works at lush) for taking the photographs above as I was busy making the comforter bar hahaha. ♥ I hit primark and came across a pair of gorgeous high heels, I bought them as I'm going to my little cousins christening soon and I needed a nice pair of shoes to go with my outfit they were only £12 (bargainous) and I think I've fallen in love with them. 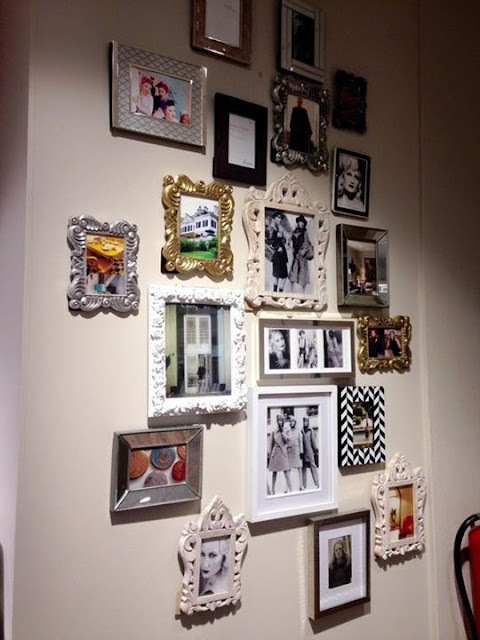 ♥ Whilst out and about town I went into debenhams saw a few familiar faces, hit the urban decay counter & came across a really creative and framey wall hahaha I liked it so took a quick pic even if I did get weird looks from a member of staff. I did cheer myself up immensely, came back home and read What Olivia Did's new blog post (check her out, her blog's amazing and she's gorgeous, hi olivia if you're reading this!) and now I'm typing whilst eating maltesers and listening to Ellie Goulding on repeat. Lucky you! I love lush and would love to actually experience making something from there :) It looks great too!